The Volca range from Korg has become a firm favourite and now the Mix threatens to tie the whole lot together. A semi-modular synthesiser with eight analogue modules, a digital reverb effect, 16-step sequencer and 50 patch points. It has a DSP-modelled sound architecture that comprises six parts. Two new synths and a powerful upgrade to the minilogue join the family. It’s a free operating system update for the Pa4X Professional Arranger. The former features Windows compatibility, while the latter combines iZotope’s mastering plug-in with Korg instruments. Fancy getting your hands on a brand new keyboard workstation early in the new year? Well here’s your chance. We’ve got a gorgeous limited edition white Korg Kross to give away to one lucky (UK-based) reader. One’s a versatile synth workstation, the other’s a keyboard with grand sounds. Korg KRONOS 88 LS Review – Is This the Ultimate All-in-One Keyboard? We provide insight and opinion on the gear, tools, software and services to enhance and expand the minds of music makers and listeners. 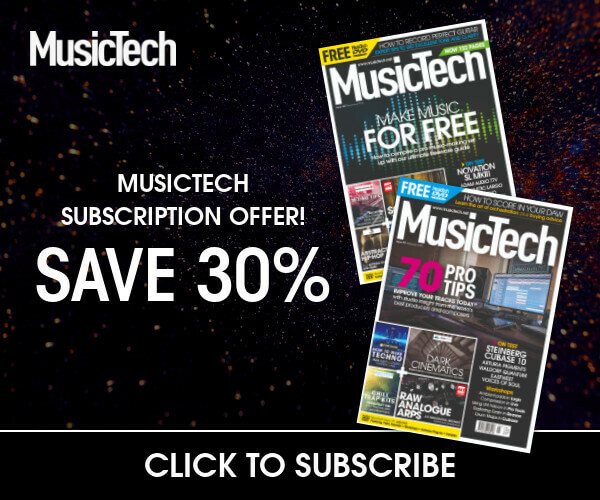 © 2019 MusicTech is a member of the media division of BandLab Technologies.